Give your up-and-coming top talent the knowledge and skills they need to bring real value back to your company. Position your next-gen leaders in a forum focused on the art of personal development and networking. Inspire and motivate young professionals to be game-changers elevating your team and your company. It’s a community of young professionals and high-potential individuals looking to develop their leadership skills and professional networks. Your rising-stars can engage with this network by attending an Emerging Leaders Summit where the curriculum is designed to provide leadership skills and the applied technical know-how they need to make a difference in your company. This energetic group spans the entire MROP channel, bringing together manufacturers, distributors and IMRs from companies large and small. This winning combination exists nowhere else in the industry. Emerging Leaders Summit 2019 - A Sold-out Event! 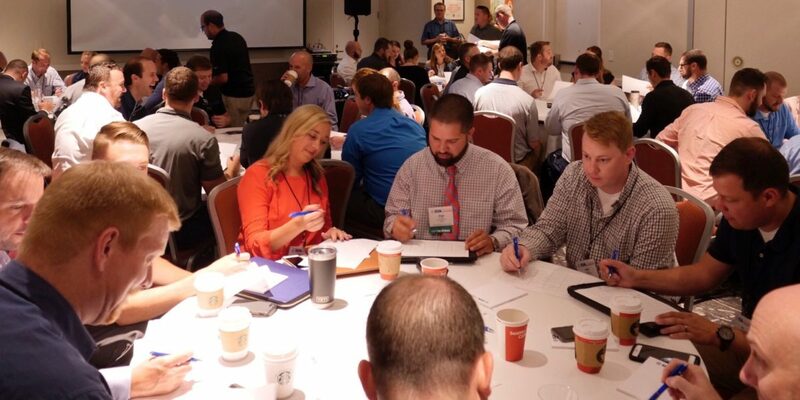 An immersive networking and education event that puts attendees side-by-side with other leaders and world-class thinkers to build critical skills and strengthen professional connections. Sold-out! Next-gen leaders learned to leverage the Power of Storytelling in Business. 60+ Next-Gen Leaders gathered to learn about Emotional Intelligence (EQ). Our Summit had 50 attendees, gathered to take part in an advanced negotiation workshop.